I do similar, only mostly with files on my computer. As I have two monitors, I often will have pics up on one, while I write in the other. I used to have hard copies of everything, but it gets to be so much printing. Now I use Pintrest and Yarny so I have my inspiration pics and I have my story with me everywhere! I can even access both with my phone. I mainly use electronic files today as well. But I thought it was easier to share on the internet with my hard copy, considering taking screenshots can sometimes look confusing on the internet. yeah screenshots can be very confusing. Thanks for this reminder! I keep photos of actors who might look like my characters, but I don’t keep pictures of clothes and other items. Good suggestions, Shannon. I like the ‘actors’ idea. As my writing usually revolves around the local area I tend to go out and take photographs as reference. Oft times there are details in the photograph that I missed by just looking. This way I sometimes capture some interesting characters as well. A scene I’m working on now involves a fishing campsite and, although I’m not a fisherman, a trip out there was needed. I usually take four shots from the same location, all four compass points. This way when the character is sitting at the campfire I can see whatever he sees no matter which way he’s looking. I don’t usually use this much detail in the final text but it does put me in the middle of the scene. Thank you 😀 Hope you have fun if you decide to go searching for objects or clothes. Thank you for the idea! 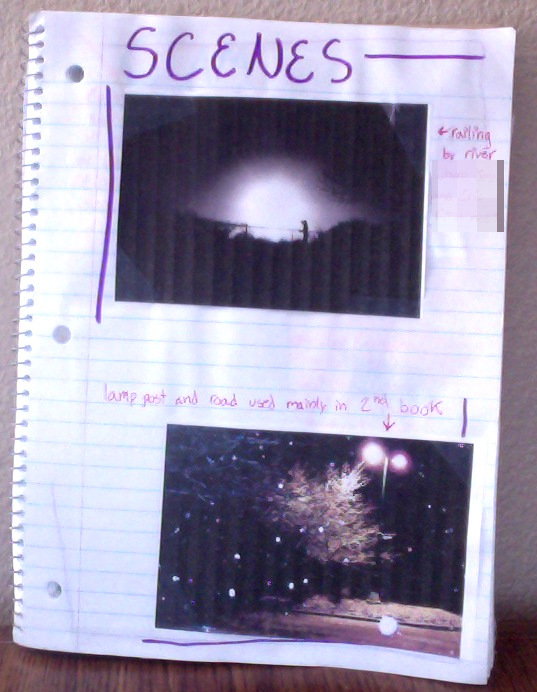 I’m always looking for ways to get the creative juices flowing and for trying new writing techniques. I’m not necessarily writing a novel, but I think this will help with brainstorming and inspiring me to write more. 😀 I hope it does! Good luck with whatever you are writing! Great post! I tend to do a hybrid of hard copy and electronic files of my characters. 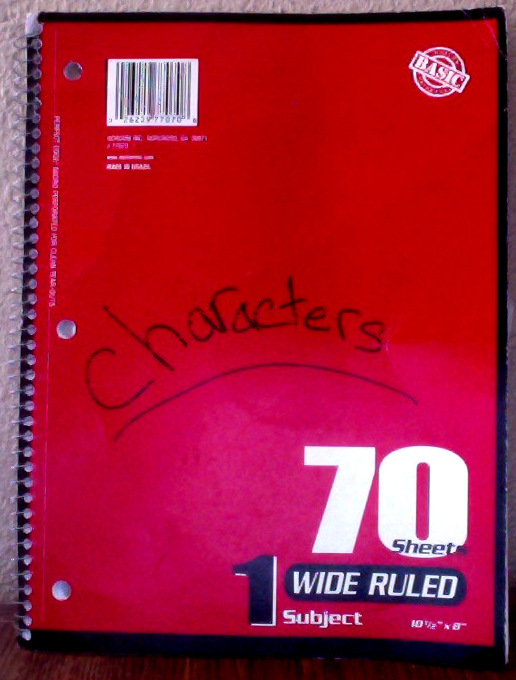 For each novel I keep a notebook where I write outlines and keep character sketches, take notes and jot ideas. I love that everything I need is all in one place! Then I use Pinterest a visual pin board for characters, settings, etc. Thanks for sharing your process! Thanks for sharing yours, too! I think it’s always great to see how writers are similar and different in the ways they organize. That way, new writers have a lot of options they can try out if they can’t seem to find their own niche. That’s a great idea. I have boards on Pinterest for my main characters and keep folders of bookmarked web pages, too. I’d never thought to try something like this with writing a story or book, though I do it on my blog and it does help so I think this sounds like a good idea. Thanks for sharing. 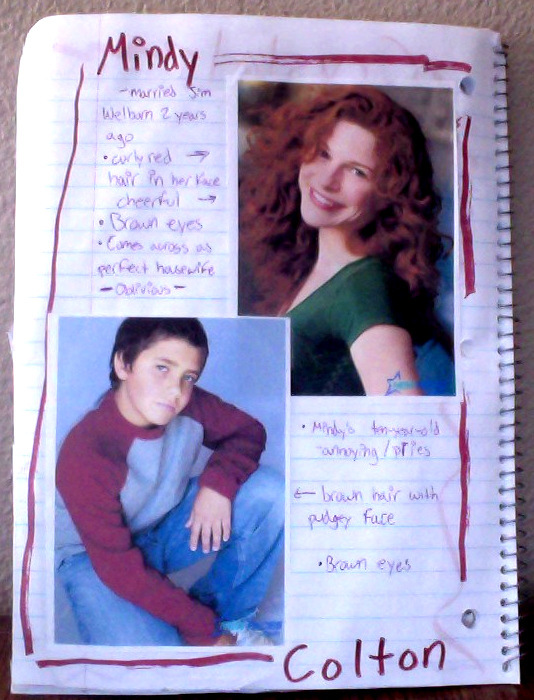 I have used actors as a base of what a character may look like but I never thought of printing or Pinteresting a picture for my notes. Thanks for the tips. I think I will try them out. Great post, and I admire your organisational skills! The more I’ve written, the more I’ve realised some discipline in organising and collecting certain details/images/ideas is critical to keeping consistency (and sanity during editing!). Love the fact that you’ve shared what you’ve actually done rather than just talked about theory – as a ‘newbie’ writer, getting an idea of the actual, tangible things other writers do is sooooooo helpful. What a great idea! And it seems so logical now that I’ve seen it. Don’t know why the idea never occurred to me. I’ll have to start a Pinterest board just for my book. I’m starting a new page on my blog for short stories and I plan to reblog this on that page if you don’t mind. I used to do a similar thing when I played around writing kids books. It kept me mindful of the characters personalities. Great idea to share with others. Cool idea. I sometimes have a casting call of my characters, but have never thought of this one. Great work. Hiya, i was just wondering what it is that drives you to share your methods and tricks as often as you do ? I want to give back to the writing community. I see so many talented people who need just one little push to get into their element, and if I can push them, I’d be honored. Hello Shannon! I am a brand-new blogger, as of this week! I was directed to your blog and am loving it, will definitely return to read more. “Picture book” is a great idea, especially for visually dominant people like me. Thanks for sharing your tips! P.S. Check out my blog when you get a moment, not too much there yet, but I’ve got a start. Take care! Your description of a picture book inspires me to give it a try. I’m into my 3rd novel and already losing track of characters and their characteristics. Thanks. I hope you enjoy it! Thank you for the compliments. I think picture books help a lot, especially with numerous novels you may or may not stop writing in a while and come back to later.